Scott Nealon, Cleveland Indians MiLB Strength and Conditioning Coach, teaches the Trap Bar Deadlift. Ric Mabie, Texas Rangers Triple A Strength and Conditioning Coach, explains using stadium stairs for conditioning and lower body strength and flexibility. Jeff Mester, Milwaukee Brewers MiLB Strength and Conditioning Coach, teaches the Barbell Hip Thrust. Houston Astros’ Daily Preparation Routines. 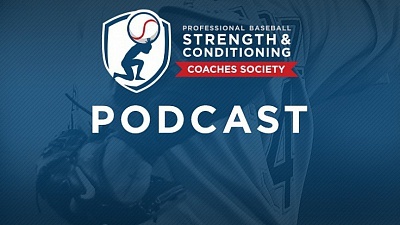 Brad Lawson, San Francisco MiLB Strength and Conditioning Coach, discusses and demonstrates Core Training for the Rotational Athlete. Loren Landow speaks and shows Resisted March and Run & Three Step Bound and Run drills. Morgan Gregory, Cincinnati Reds MiLB Strength and Conditioning Coach, demonstrates Kettlebell RDL. Morgan Gregory, Cincinnati Reds MiLB Strength and Conditioning Coach, demonstrates Kettlebell Bent Over Row. Loren Landow shows and talks about the Wall Drill. Loren Landow, Director of Sports Performance at Steadman Hawkins Clinic Denver, discusses and shows a skipping progression to improve speed.